How's everyone doing? I went to the Hot Wheels events few days back, just to let you know that the Hot Wheels Southeast Asia Championship Finale will take place this Saturday, 21st October 2017 at the LG2, Blue Concourse at Sunway Pyramid.The day my boys have class, Sean has got tuition to attend and his little bro has Kindergarten, if it didn't clash time I would bring them along to attend this fun events as my sons love Hot Wheels toys. It's be great for children as they need time out from education too, good play time for them as I know not many parents able to build big HotWheels playground like this for their children. Look now it's happening in at the mall that you can shop and go playtime at the same time. Here's my little one HotWheel's car, watch the the video to see which model toy it is. (Top L to R) Mr. Ivan Franco, Country Manager, Mattel Southeast Asia, Shaine Wong, and her son Tan Jacob (4) , Dr. Jezamine Lim Iskander and her son Zander Xayne Iskander (5), experienced their first friendly match. October 17, 2017 Kuala Lumpur – The very first time in Hot Wheels® history, we bring together Hot Wheels® challengers from six (6) countries across Southeast Asia for an exciting championship to compete for the first Hot Wheels Champion title and Hot Wheels prizes up to USD 2,000. Happening at LG2, Blue Concourse at Sunway Pyramid on the 21st October 2017, 12 little Hot Wheels challengers aged 5-12 years old together with their moms are finalists representing their home countries and will compete for the 2017 HOT WHEELS® epic CHAMPIONSHIP title. Every little Hot Wheels challenger and his mom will have to embrace 3 different challenge zones – Challenger Zone, Track Builder Zone and Epic Loop Zone during the finale which is designed to test skills, precision and teamwork. 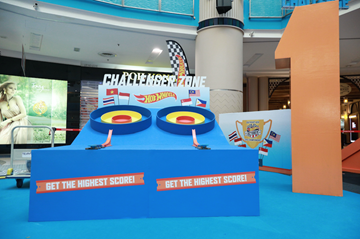 The first challenge zone - the Challenger zone, is designed to test skills. 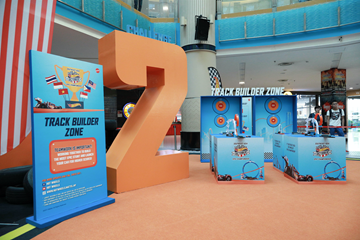 The second challenge zone - theTrack Builder Zone, is designed to test teamwork. 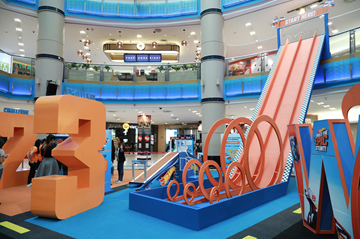 The third challenge zone, the outrageously cool giant Epic Loop, is designed to test precision. There will be two different categories that will be held during the championship finale. Boys aged 5-8 years old and their moms will compete in Category A, where else boys, aged 9-12 years old will compete in Category B. 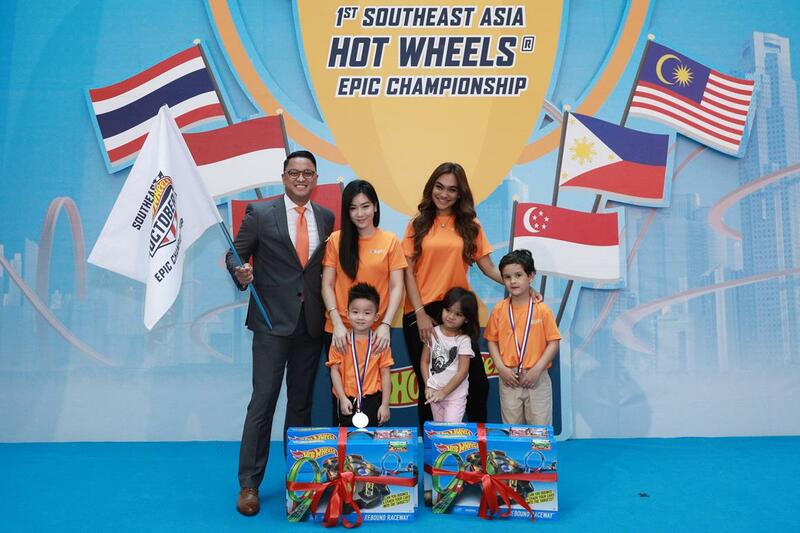 To find out more information about the Hot Wheels’ first Southeast Asia Championship 2017, please visit http://hotwheels.mattel.my.